This wall mounted round wall shelf is a must have for lovers of the trending art deco and modern style designs. 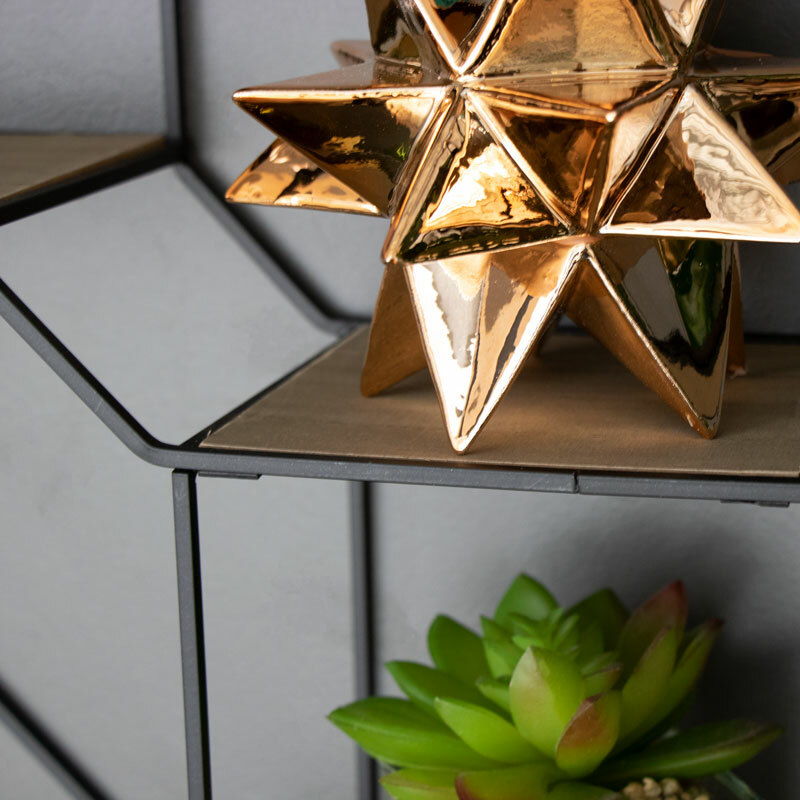 Both stylish and practical this will make a great addition to any room in the home, whether its in the bathroom, kitchen or even in the bedroom. 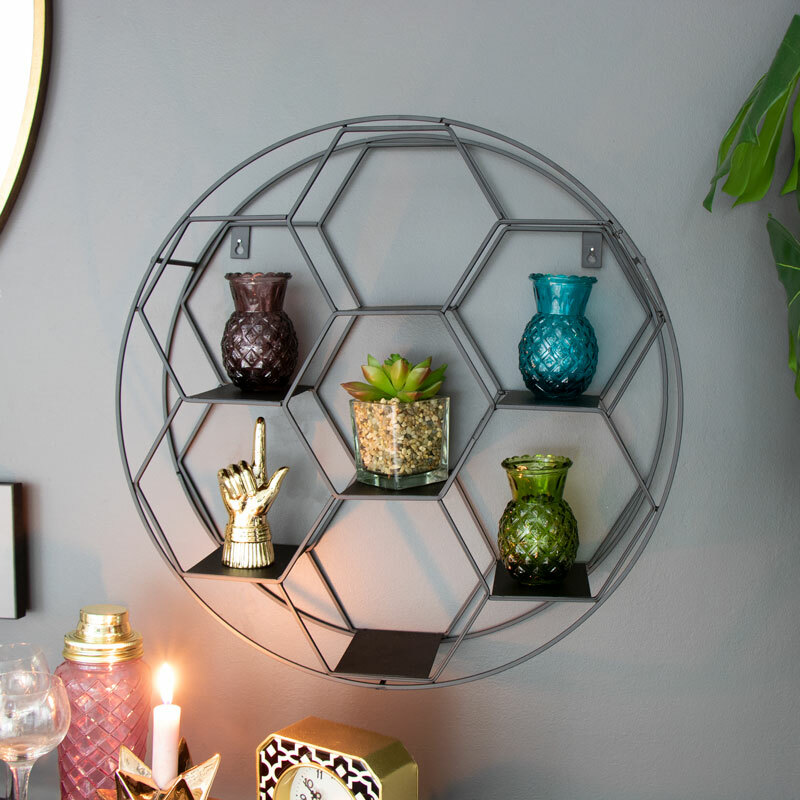 The centre of the circle frame is met by 7 hexagonal shaped shelves offering a quirky and fun place to store trinkets, treasures and ornaments. 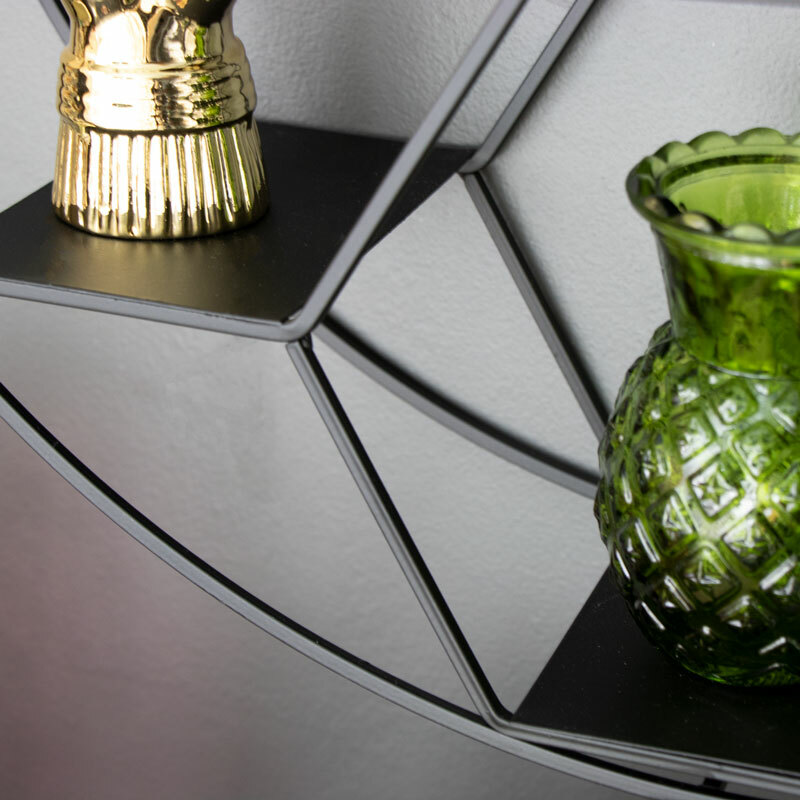 Whether your looking to achieve a retro loft styled interior, a art deco home or just wanting something fun and quirky to add to your modern or shabby chic existing design then this wall shelf is perfect. Made from metal in a black painted finish, the shelving unit is light weight and has two wall mounting holes attached for easy hanging. With a great range of stylish storage solutions for you to choose from with wall mounted and freestanding shelving units.